The Limes farm shop is in Southminster Road, Burnham on Crouch at Eves Corner which is the junction with Mill Road and Green Lane. The farm shop opens Tuesday to Saturday until 5.30pm and on Sunday mornings selling fresh produce which is grown on the farm land. Pick your own is available at times in the summer. 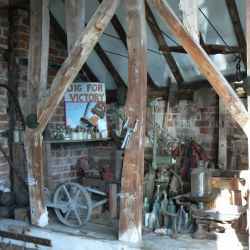 The Saddler family who own the farm shop have established a small museum of rural life which is housed in a barn at the farm shop. 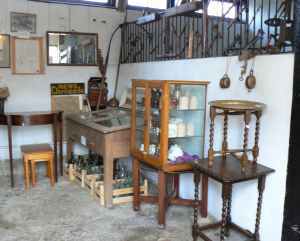 The museum is open on Fridays from 1pm to 5pm, on Saturdays from 9am to 5pm and at other times by arrangement. Entry is free to the museum. Parking is available at the farm shop car park.